At the end of the gusty 2018 Open at Carnoustie, the last man standing was Italy’s Francesco Molinari (Titleist Pro V1x), probably the least likely choice going into the tournament. He was a 25-1 shot in Vegas’ odds. Tiger Woods, who held the lead briefly in the final round before giving up three strokes in two consecutive holes with a double bogey and bogey, finished in a four-way tie at five-under with Eddie Pepperell (Titleist Pro V1) and Kevin Chappell (Titleist Pro V1). Molinari made par putts consecutively, then added birdies on the 14th hole and the 18th hole to take the lead and the championship. He already finished his round playing with Woods, while Schauffele was still on the course with a chance to win. 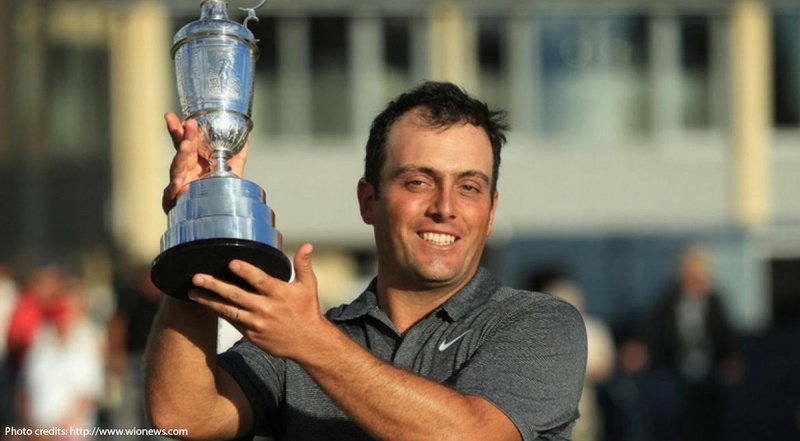 Molinari became the first Italian to win a Major and the oldest at age 35 to win the Open. Molinari won the Quicken Loans back in July and tied for second in the John Deere Classic. If you judged him purely on current form, he was deserving of the win, but too often in the major tournaments you look for the big-name players and overlook the secondary ones. He was known as more of a star international player prior to this latest win, but on this stage with the world watching, he was the best. Rose may have been the story of the tournament in another way. He made the cut at cutoff line of three-over and finished 11-under in the final 36 holes. That is impressive, but you can never count out the 37-year-old Englishman, who has two wins, a second and a third in 13 tournaments this year. He just goes about his business so quietly. Woods had the gallery cheering him on and no doubt millions watching around the world on television. Back when he was the king of the gold world, Woods made his breaks and forced others to make mistakes. That fine line is no longer there, not when some tournament players are blasting it 350 yards or more off the tee. Tiger is more concerned with keeping it in the fairway than trying to launch in long. He has practically put away the driver in favor of a three-wood or a long iron. Still, for all he has done to make it this far in one of the most amazing comebacks in golf history, you have to give him credit. He is not embarrassing himself. It’s simply a matter of younger players no longer fearing him. He can’t finish like he used to, but you can’t be overly critical of that. He has won the hearts of many golf fans for putting the ‘”in the hole” shouts back in the game. Watching McIlory, there was a time in the last round when he looked like he could win the tournament again. Alas, it was not to be, but he made interesting, as he always does, with his reactions. Spieth, bidding for a repeat, just made too many errors at the wrong time, but as always he makes it interesting to watch. Whether he’s making an incredible shot or missing one, Spieth is must-see TV. This really hasn’t been his season. Spieth sported a new ‘do before the third round and shot a six-under par 65, but it didn’t carry over to Sunday. The golfer whom you really had to feel sorry for was Kisner. He faltered on the front nine of the final round and it’s simply too difficult to rebound from something like that. He was not the only one who had some bumps along the way when it mattered the most. Only Molinari managed to stay steady and error free to claim the Claret Jug. Simply put, the Open was the best tournament this year in terms of overall drama. Nature threw everything at man, but man what a tournament.